Seeking for a platform to voice out your opinion? Do you want to get across a mass audience with your write ups? 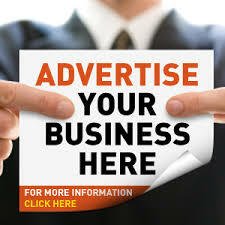 Then look no further, at www.tundegold.com, you are guaranteed of the needed exposure you desire for you and your brand. Tundegold.com is always encouraging writers who are passionate about writing inspiring articles and piece especially on areas around leadership, character and career development. Any topic that aligns and conforms with our mission (Read about our Vision and Mission HERE), is welcomed. Posts must be original. Must NOT BE COPIED from your blog, another site, book, magazine etc. Guest posts CANNOT be republished else where until after six months that it was published here after a written permission has been recieved. Such post may then be modified and republished elsewhere, if admin at tundegold.com only approves of it. The topic of your guest post must NEVER have been treated on this blog before. Bylines should be a sentence or two explaining who you are and what you do. Feel free to include a link either to your blog, facebook page, twitter account, instagram, or Google+ profile. Your byline will appear at the bottom of your post. We shall get back to you, if your contribution is acceptable. However, if you do not get a response, this may mean your post didn't meet our requirements. Furthermore, because of the large volumes of mail we receive per day, our reply may sometimes be delayed; so you would do us good by exercising patience while expecting our response. Please, note that there is a difference between guest posts and sponsored posts. Guest posts are generally written by other bloggers/writers and sponsored posts are written by, or on behalf of, a company or organization to advertise a free or paid service. Please visit this page for sponsorship details if you represent a company and want to include affiliate links within your post. We may not accept posts written on behalf of your company or client except you agree it’s a sponsored post. .....tundegold.com - Get Inspired, Change your World!